Have you ever wanted a very robust, bold and full-flavored cup of tea? If you have a stovetop Moka pot at home, try brewing tea in a Moka pot. You may be surprised by how robust and flavorful the tea is. Tea brewed in Moka pot also makes very delicious Black Tea Latte. What kind of tea is best for Moka pot? 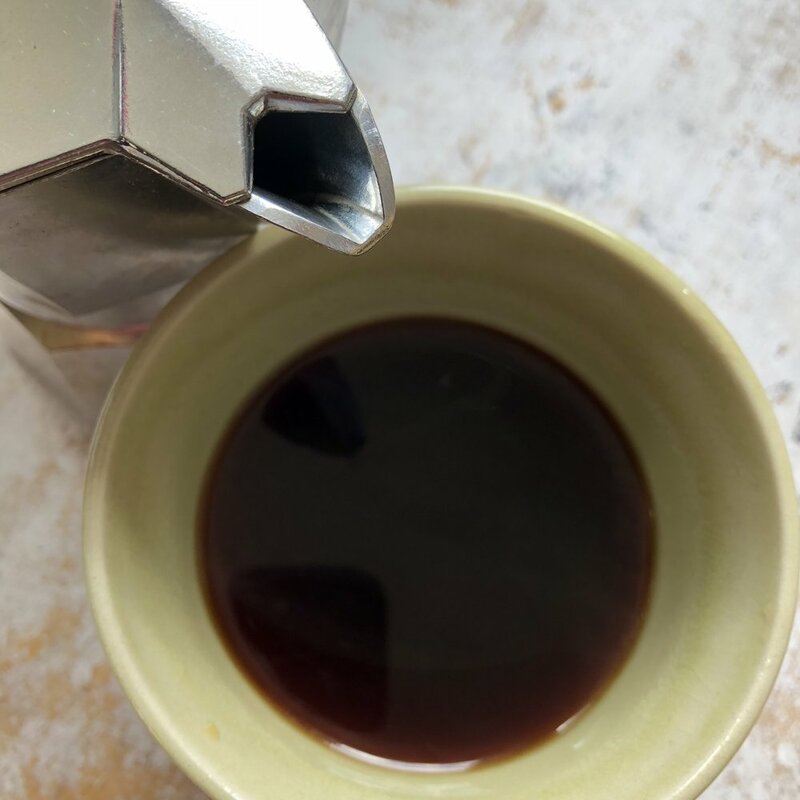 From our experience, black tea is more suitable for Moka pot. Black tea is fully oxidized which means it takes high temperature and pressure very well. Other types of tea, such as green and white teas, don't tolerate high water temperature well and can easily over brew. 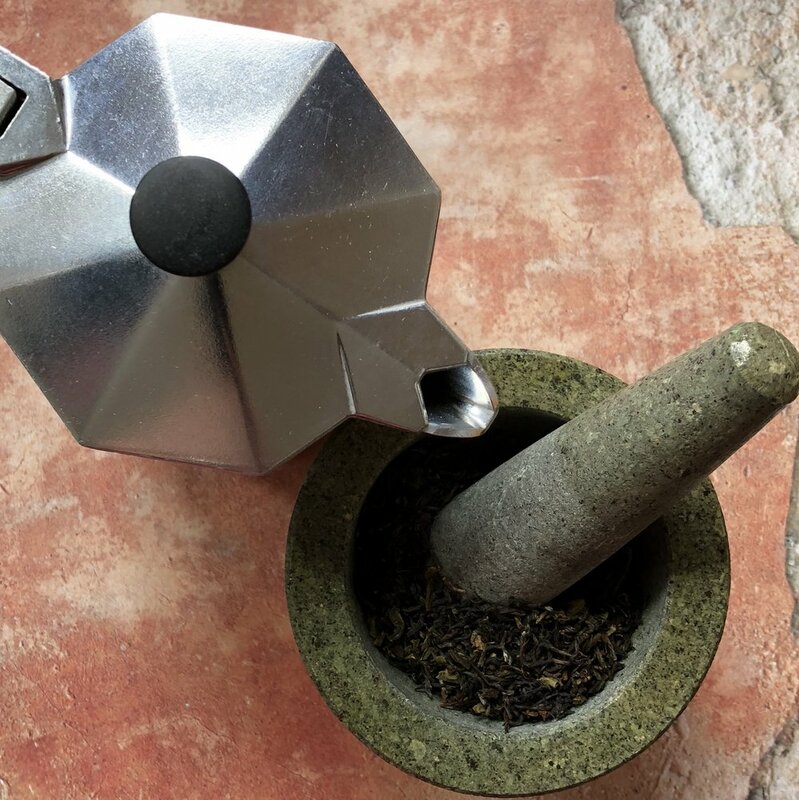 How to use a Moka pot to make tea. 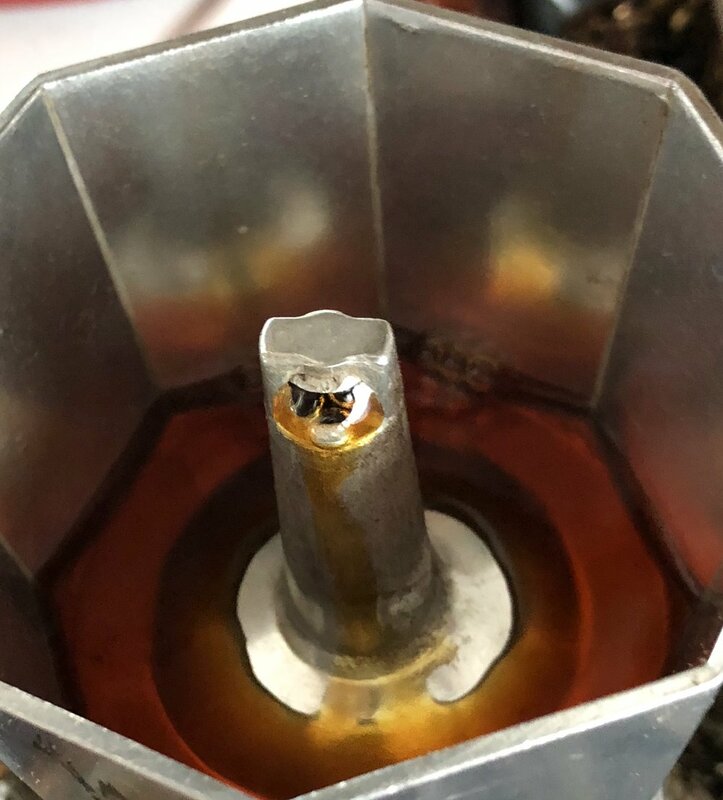 Fill the base of the Moka pot with hot water. Put tea leaves in the filter container. Level and smooth the tea leaves using a spoon and don't over fill the filter. Screw on the top part (spout) and place Moka pot on the stove. Turn stove on to medium flame. Make sure not to burn the handle of the pot. Take the pot off the stove as soon as tea starts dribbling out. Pour the tea into a cup. Enjoy the tea as it is. Or add steam milk to make a Tea Latte. When tea starts dribbling out, take the pot off the stove.